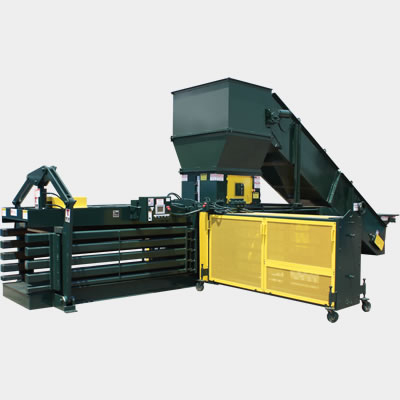 Open-End Horizontal Baler Series, mid-range to high volumes. Fully automatic operation including automatic tie-off of finished bales. Good for OCC (cardboard), Paper, Plastics, and UBC/Steel Cans. Various chamber sizes with additional feed opening and cylinder options. 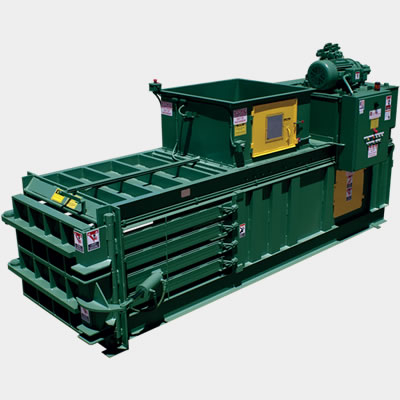 Open-End Horizontal Baler Series, mid-range to high volumes. Fully automatic operation including automatic tie-off of finished bales. Good for open box OCC (unfolded cardboard) and Shredded Paper applications. Various chamber sizes with additional feed opening and cylinder options. 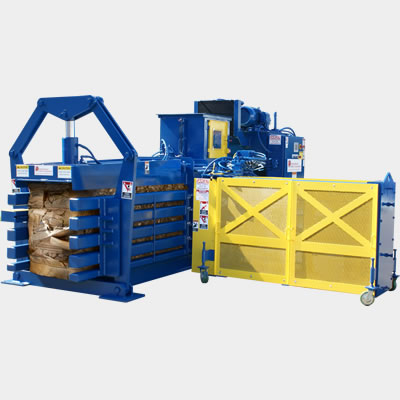 Horizontal Baler Series, moderate to mid-range volumes. Semi-automatic operation, manual tie off of finished bales. Good for OCC (cardboard), Paper, Plastics, and UBC/Steel Cans. Various chamber sizes with additional feed opening and cylinder options.